We live in a world where people turn to nature and use its healing properties, instead of completely relying on modern medicine. So, among many other crystals and minerals, we today have and use shungite – which is yet to gain its popularity across the world. This mineral is used in many different spheres and it has its healing properties and many benefits, but let’s first find out about its history. Shungite is a mineraloid and its dig site is truly unique. Primarily, it is found in Russia, NorthWest to be precise, and its name is derived from a village where it was first discovered – Shunga, Karelia in Russia. Around 2 billion years ago, precambrian rocks, consisted of some of the earliest oil deposits on earth were situated in shallow lagoons near volcanos in western Russia, rich with algae and sediments. When these deposits were subjected to heat and pressure, shungite formed into one of the purest forms of carbon. However, pure carbon is not the only thing found in shungite, fullerens were found as well. Fullerens are carbon molecules made into a hollow sphere in a shape of a soccer ball. At first, in Russia, shungite was used only as a water purifier. There was even a first Russian spa established by Peter the Great, where people could bathe in the healing waters purified by shungite that was flowing through. However, today, shungite has many other benefits and uses, so let’s check them out. As mentioned before, shungite has many benefits to bring to us in many different spheres. However, people have mostly started using it to bring themselves some health benefits. But these health benefits are not only focused on our physical health; what shungite can do is heal us on other levels as well, including emotional, mental and spiritual. So, from the health standpoint, shungite can help us restore our emotional balance, it can remove any negative energies and thoughts we have throughout the day and promote positivity. Also, it can shield us from electromagnetic frequencies (EMFs) from our cell phones, computers, TVs, Wi-Fi, etc. Additionally, it can normalize our sleep and rejuvenate our cells. 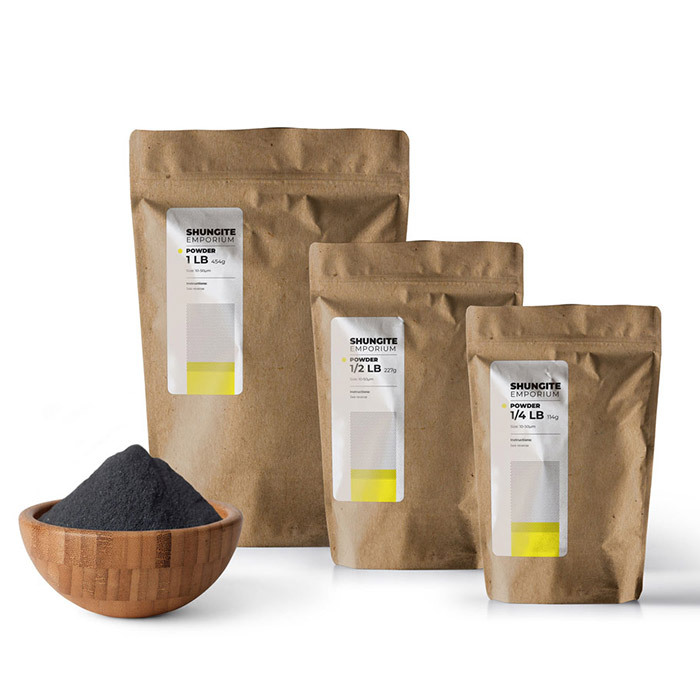 And, to top it all off, shungite is used as a supplement that can help cure many common illnesses and issues, such as headaches, back pain, high blood pressure, rheumatism and so on. We have stated that shungite is used in medicine for its healing properties. As far as mental and spiritual benefits are concerned, it is used in form of stones worn as jewelry. However, it can be also consumed as a powder which brings those physical health benefits. Another popular use of shungite is within its role of a purifier. Many people all over the world use it as a water purifier, both for drinking and wastewater. Plus, it can be used to produce food, such as black pastry and drinks. Additionally, shungite is used in metallurgy as a substitute for coke (fuel), in chemical industry for production of rubber (it is used instead of natural rubber) and since it is a great conductor it is used in electrical industry for production of heaters. 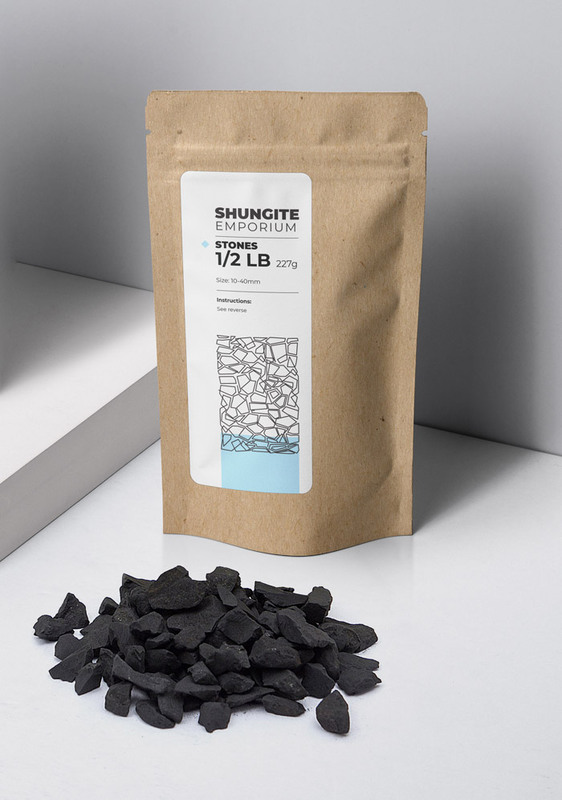 What is more, because it has great properties as a thermal accumulator, shungite is used for producing various masses and for production of anti static floors in construction. Apart from being part of those industries, many people use it for production of animal feed, as well as to feed and grow domestic and wild animals and plants. Lastly, this versatile mineraloid is used in cosmetics in order to provide some of the best shampoos, body lotions, gels, masks and so on. As you can see, shungite is one very versatile mineral that has found its way in many industries of today. It all started from bathing in water springs in Russia, and today this magnificent gem can help us become better versions of ourselves on many different levels. Not to mention how it is helping us preserve our natural resources and save the environment.